Replace the default values with your own ones and restart the Exchange UM and Exchange UM Call Router Services. IMPORTANT: make sure you remove the trailing spaces (marked red) otherwise the Exchange Server will treat those as invalid entries and will use the default vales of 1024-65535. 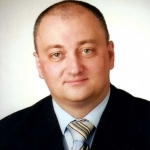 Dejan Foro is founder and CEO of Exchangemaster GmbH. He lives in Zurich, Switzerland and is a dedicated specialist, with 26 years of professional work experience in IT. Before starting Exchangemaster GmbH he worked for 20 years as a system engineer and project manager with customers of all sizes across many industries: From small ISV startups and a NGO humanitarian organizations up to largest international corporations like Stryker, Swisscom, British Telecom and Nyrstar. He spent his entire career delivering Microsoft based infrastructure solutions with main focus on Active Directory, Exchange and Office 365. During those years, he collected a valuable work experience on 8 Exchange generations (2019, 2016, 2013, 2010, 2007, 2003, 2000 and 5.5) and has delivered services to a user base of more than 3.2 million mailboxes in on-premise, hybrid and Office 365 deployments. Beside working on customer projects, he is a regular speaker and expert at Microsoft conferences and user groups. As a Microsoft Certified Trainer he also teaches Microsoft Official Curriculum courses to technical professionals around Europe. For his work he has received numerous awards. In 2005 he was the first member to be elected into the MCP Hall of Fame by Windows IT Pro Magazine readers choice (as 1 of 6 worldwide). From 2005-2017, Dejan has been awarded by Microsoft Corporation with the yearly Microsoft Most Valuable Professional (MVP) award in area of Exchange for 12 years in a row. In area of Exchange this award is issued to less than 100 Exchange professionals worldwide.